Luxury in Antarctica means uncompromised, first-class adventuring. From the comfort of the cabins to the expertise of the expedition leaders, these vessels are designed to ensure a flawless experience on the white continent. What makes a luxury trip? 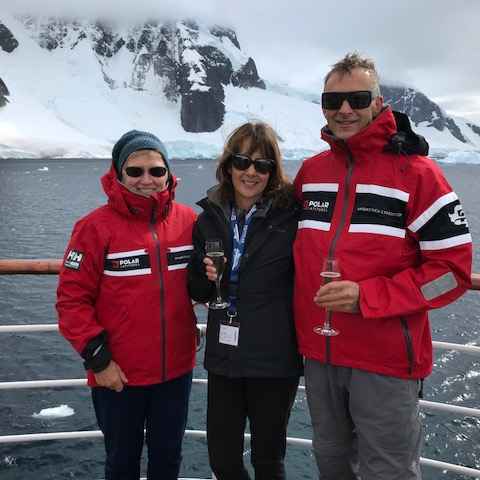 Onboard expertise: Your expedition leaders have been handpicked for their experience, passion and expertise, at the highest standards of any ships in Antarctica. The excellent service and welcoming hospitality of the staff is enhanced by a staggeringly high crew to guest ratio, often at nearly 1:1. You will travel with explorers, scientists, authors, photographers and destination experts at your side, as you discover these remote and remarkable environments. Cabins & communal spaces: Open up the doors of your cabin straight onto your personal balcony and watch whales breaching with your morning coffee. Stroll across the ample deck space, or relax in a choice of lounge areas. The emphasis here is on space and light, maximising your opportunities for spotting wildlife, and for feeling right in the heart of Antarctica. Food: Only here will you find gourmet menus and a choice of restaurants at the end of the earth. Premium fine wines, champagnes, three-course menus and international cuisine await, to be savoured with a backdrop of sparkling icebergs and glittering snowscapes. It was wonderful; the ship's crew could not do enough for anyone, and the food was excellent. It was a beautiful ship! Our rooms were really large. The food was delicious and the entire crew on the ship was so friendly. It's the perfect size ship to get to know pretty much everyone. The expedition staff were all super professional and top in their field. They were very personable as well. It was nice to have the option to snowshoe on one day and go out on the science boat on another. Swoop and especially Loli were terrific from initial contacts to getting on the ship. Very pleased - the Hebridean Sky and expedition staff were first class. 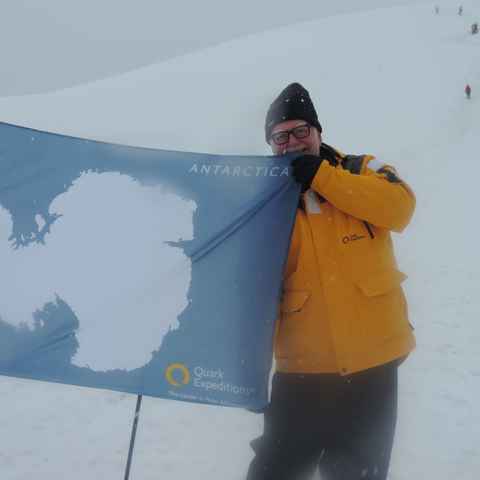 Swoop provided excellent service; they have a lot of experience in Antarctica and recommended me the perfect voyage. There were many discussions but they helped me narrow it down. Explore the onboard library with an expert glaciologist, get out each day to feel the snow and ice crunching beneath your boots, or just breathe in the Antarctic air from your balcony. 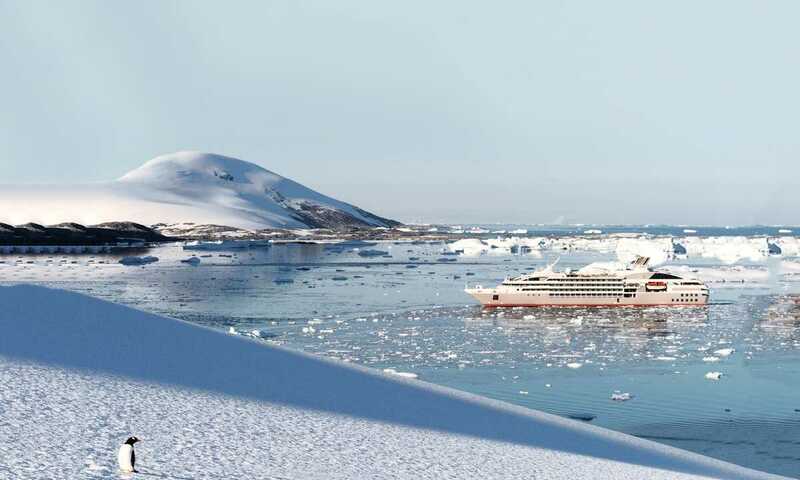 Ships such as the Hebridean Sky, Magellan Explorer, Silver Explorer and Greg Mortimer are designed for comfort and adventure, everything from deck space to lounge areas to ship stability has been considered, without compromising your discovery of Antarctica. The luxury here is bigger than just your surroundings, it comes from the sheer experience of the expert team, the focus on remote, adventurous landings, and the impressive crew to passenger ratio. Travel in comfort, soaking in the passionate, expeditionary atmosphere. Settle into life on board a world-class cruise ship, with fully inclusive service, Relais & Chateaux gourmet menus and exquisite cabins and communal spaces. The onboard experience is at the heart of these voyages, with breathtaking vessels designed to cater for more passengers without compromising on space or service. You'll still be taken on guided adventures ashore to walk with penguins, observe whales from your zodiac and hike to viewpoints, and will have support from an expert team as you travel the white continent. When time is a luxury, maximising your days in Antarctica is of the utmost importance, and flying across the Drake Passage is a logical shortcut. It takes just two hours to fly to Antarctica, but it eliminates four days of sailing across open sea, so you can spend each precious moment out exploring. 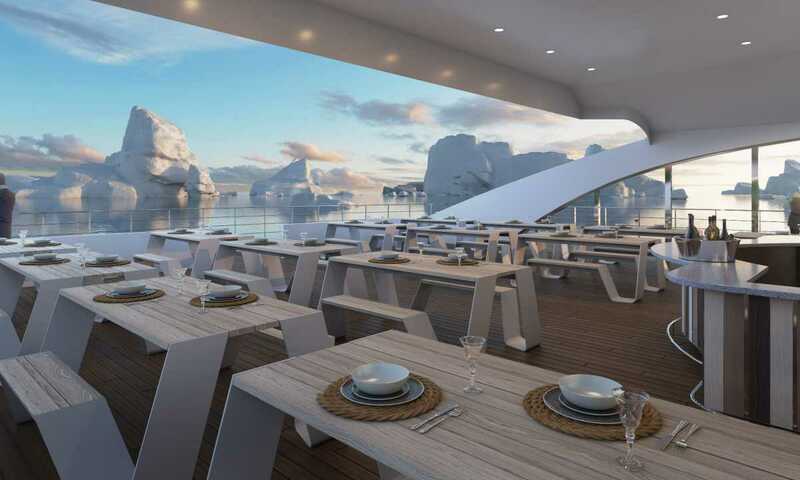 On arrival, you'll embark on a luxury vessel where the aim is an intimate experience: the Hebridean Sky and Magellan Explorer have only 70 passengers, ocean view cabins, and an action-packed itinerary to get you straight to the best Antarctica has to offer. Island Sky is a class act. Offering refined comfort and high levels of service for only 108 guests, its no wonder she has such a loyal following from past travellers. Will I still get a proper Antarctic experience? Most of these ships are expedition ships at heart - their focus is on getting you out and into Antarctica. Experiences such as walking with penguins, kayaking, zodiac rides with humpback whales, and hikes on remote islands are all still very much on the menu. 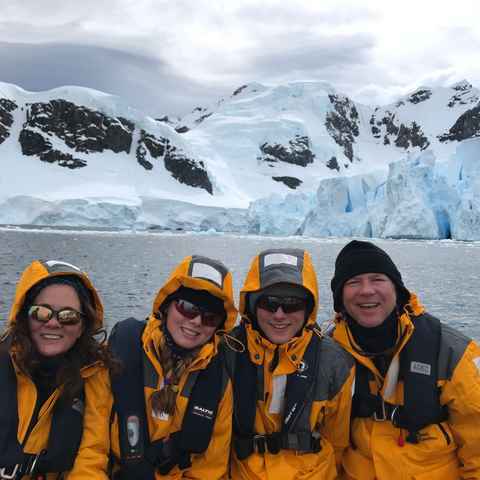 What's more, you'll be with award-winning expedition teams, and can relax in comfort as you sail between Antarctica's most intriguing, spectacular destinations. How far in advance should I plan my trip? These trips are highly sought-after, and cabins begin to fill up 24-18 months in advance. If you have a ship, cabin or voyage in mind, you'll need to be considering your trip a few seasons in advance to avoid disappointment. Can I still do adventurous activities? Yes; kayaking amongst the icebergs is offered on a number of luxury voyages, and if you can bear to leave your luxury cabin for the evening then camping out under the stars is also available.